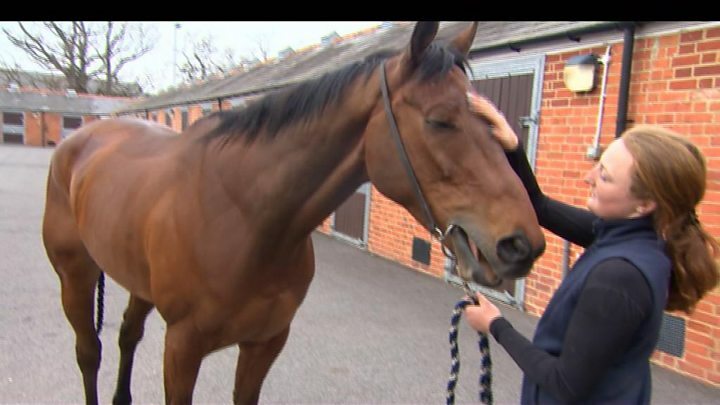 Home 2019 News Are races getting safer for horses? 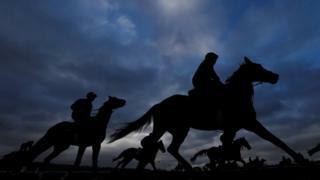 The deaths of three horses at the Cheltenham Festival have raised concerns over safety in racing. So how dangerous is it? The Cheltenham Festival is one of the UK’s biggest sporting events. The National Hunt race meeting attracts tens of thousands of spectators, and millions of pounds in bets. But concerns have been raised about the safety of horses. Seven died at last year’s festival. This year, three died: Ballyward and Invitation Only fell at fences, Sir Erec broke a leg between fences – all were put down. Cheltenham Racecourse says it’s reviewing safety, but the animal rights group PETA has called for racing to be banned. Yet the sport has made changes over the past couple of decades, including alterations to hurdles and the use of more vets, so has it become safer for the animals involved? According to the British Horseracing Authority (BHA), the number of horse deaths per 1,000 race starts fell from 2.8 in 1994 to to 2.2 in 2018. The lowest rate was 1.8 in 2017. Altogether, the BHA figures show that, from 1994 to 2018, 4,905 horses died on British racecourses. “Despite the fact that the overall trend is one of decline, we never stand still when it comes to safety and we always look at the data from the previous year to determine whether any further improvements can be made,” a BHA spokesman said. Unsurprisingly, jump racing – where horses have to clear fences or hurdles – is more dangerous than flat racing. But the BHA says the fatality rate in jump races fell from 4.9 per 1,000 starts in the five years to 2004, to 3.9 in the five years to 2018. The RSPCA’s racing consultant, David Muir, has been at Cheltenham this week to monitor care and safety standards and has worked with World Horse Welfare and the BHA for 22 years to improve conditions: “You have to look at the modern racehorse and what it can do and marry that to what we need it to do,” he says. “You can never sit still when it comes to making improvements. Mr Muir divides the injuries horses can suffer during races into “avoidable” and “unavoidable” ones. Those caused by bad course design, such as poor fencing, are avoidable, he says. Unavoidable injuries, Mr Muir adds, include a horse breaking a leg or suffering heart problems while running. But he adds that the danger of these can be reduced by better monitoring of horses’ welfare, including improving the detection of existing health problems. The Irish Horseracing Regulatory Board, which oversees the sport in the Republic of Ireland and Northern Ireland, has begun a study into horseracing deaths. It has released figures for 2012 to 2017. On racecourses during that period the number of horse deaths per 1,000 race starts rose slightly from 2.8 to 2.9. In 2013 it reached a peak of 4 per 1,000. In total, 562 horses died.